Totie Fields was born Sophie Feldman in Hartford, Connecticut. According to Wikipedia, she started singing in Boston clubs while still in high school, taking the stage name of Totie Fields. The name "Totie" was a childhood nickname, a baby-talk pronunciation of the name "Sophie"
Fields gained fame during the 1960s and 1970s. Ed Sullivan gave Fields her first big break when he booked her on his show after seeing her perform at the Copacabana in New York. She made multiple appearances on The Ed Sullivan Show, The Mike Douglas Show, and The Merv Griffin Show, as well as a fifth season episode of Here's Lucy starring Lucille Ball. Here's a video clip of one of her standup comedy appearances on The Ed Sullivan Show. 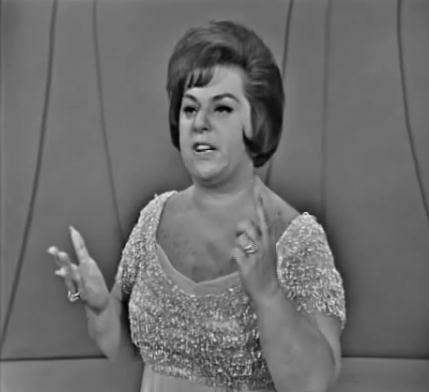 Totie Fields was much funnier than this clip shows. I agree with the above; but ole Ed Sullivan restricted what could be said. Still love Totie Fields.